No, I haven’t been deliberately neglecting the blog posts. I’ve just been far, far too busy. As I mentioned in an earlier post, my publisher, Xchyler Publishing, brought forward the release date of Mr. Gunn & Dr. Bohemia by about a month from the original mid-November date. I’m thrilled, of course, but there’s always a downside—in this case, that being the deadlines are now much, much tighter. And so I and my extremely dedicated line editor, Jessica, have been hammering away at getting everything in shape in time. And we’ve done really, really well. The edits of the early chapters were completed four, five or more days past their deadlines, but through sheer hard work we’ve pulled that back in; we’re down to the last four chapters, and from the look of things we have every chance of finishing the job within the next three days—that is, only two days past deadline (and there’s even a chance that we’ll finish only one day late). Doing that meant pretty much everything else had to go to the wall. Last weekend was twenty-one hours of knuckling down, and since then every lunchtime at work has been taken up, as well as every evening at home. And so, there’s been no time to compose blog posts. This is the first breathing space I’ve had, and it’s only because my editor was out of town yesterday. 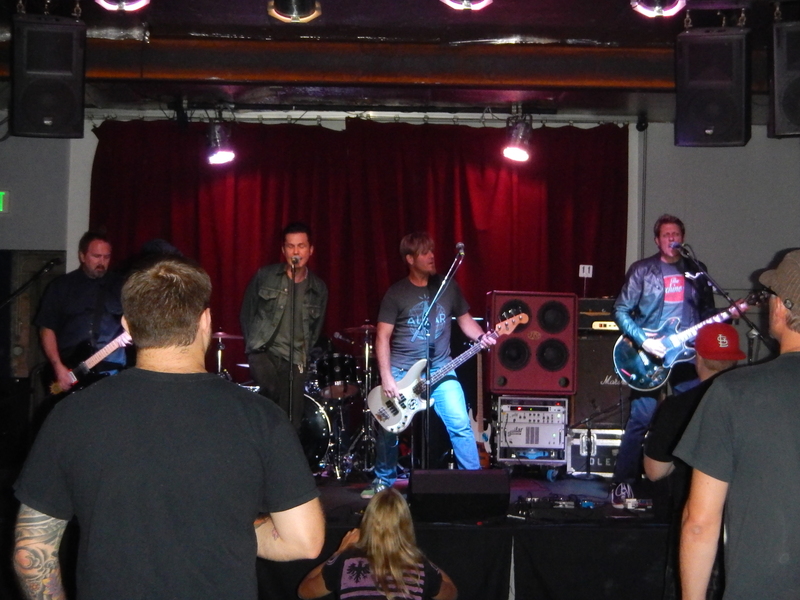 A couple of weeks ago we went to see Oleander at Moe’s BBQ and Bowling in Englewood. That was, frankly, a bit weird. I mean, Oleander, people; the band that brought you Are You There? You’ve probably heard it, even if you don’t know it by name. And there they were, playing to no more than fifty people. We were sitting twenty feet from the little stage, and the band members manned the CD/t-shirt sale table in person after the show, and shook hands, chatted, and signed CDs. 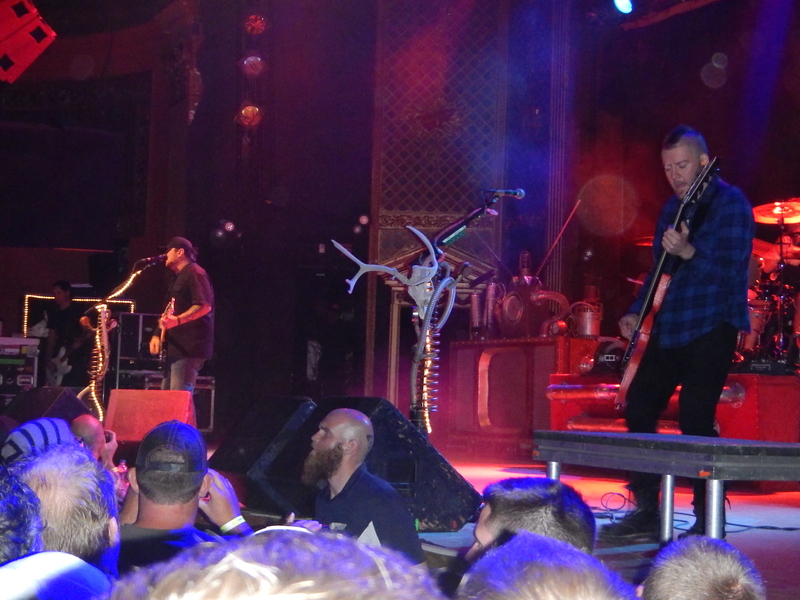 Last night we were at the Ogden in Denver to see Seether, who were supported by Eye Empire and Ten Years. Great show. We saw Eye Empire last year, when they supported Seether at the Fillmore; they were good then, and they were even better last night. As for Ten Years, I’d never heard of them until the day I bought the tickets, but I was seriously impressed, and I’ll be buying their CD next chance I get. So… it’s Sunday, and I have some down time. What to do, what to do… Tea, I think, and a late breakfast. By this time next week, all the line editing should be done, and (if all goes well) most or all of the proofreading. I won’t know what to do with myself. But I’m sure I’ll think of something.